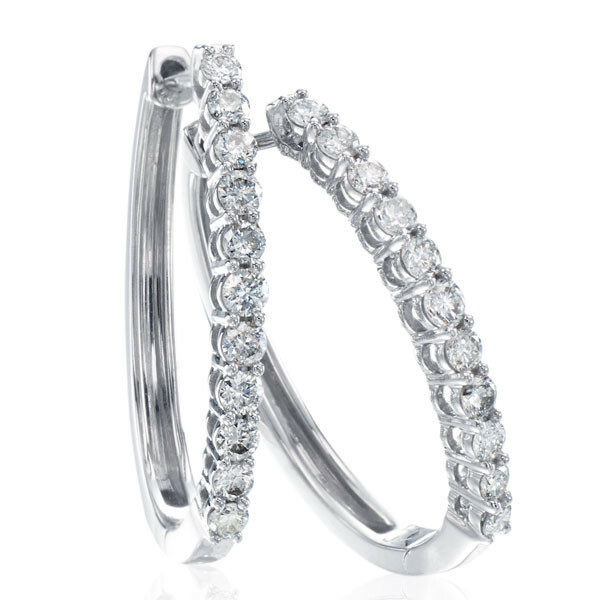 Add some sparkle to your style with these striking diamond hoop earrings. Set in 14kt white gold, these 1" hoops are bedazzled with lush white diamonds, and post backings will keep them comfortably in place. Take the staple hoop to the next level with this pair of diamond earrings.